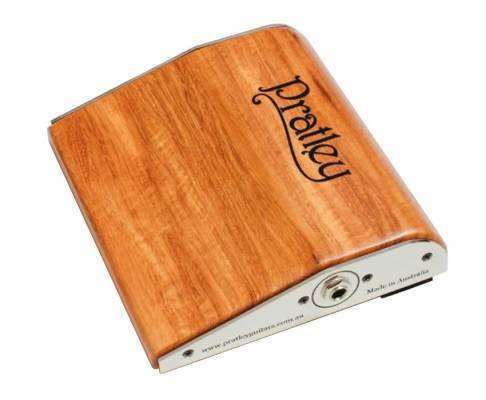 The Pratley Compact Stomp is the "must have" for all guitarists and percussionists. This model has a huge bass kick sound while still fitting easily into your backpack or guitar case. The wedge shape makes it ideal for use with cajons, snare & high-hat combos or when playing guitar. It can be positioned under the ball or heel of the foot. Expand your sound with the impressive & convenient Pratley Compact Stomp. This model is used by the amazing John Butler.